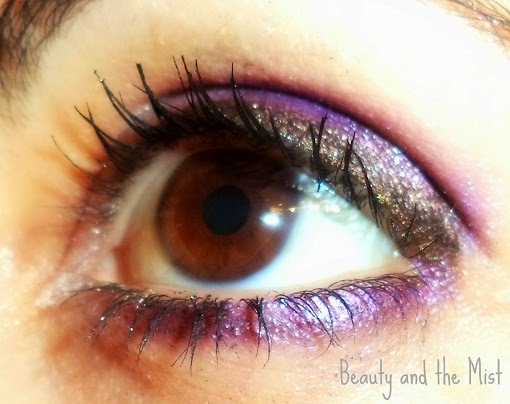 Here’s an eye make up I created and it could be a suggestion for Valentine’s Day. 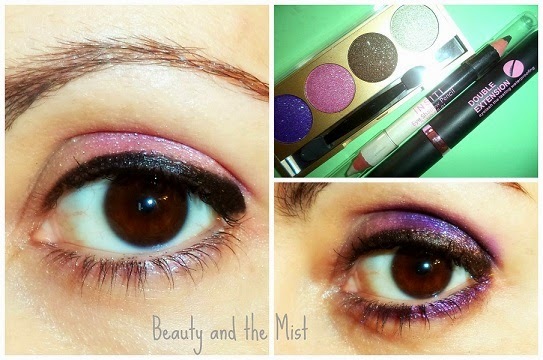 Using only 3 products from BornPrettyStore first I did a morning look and then I transformed it into an evening eye make up look. If you work in the morning you can have a more discreet look and by adding more colour you are ready to meet your Valentine in the evening! 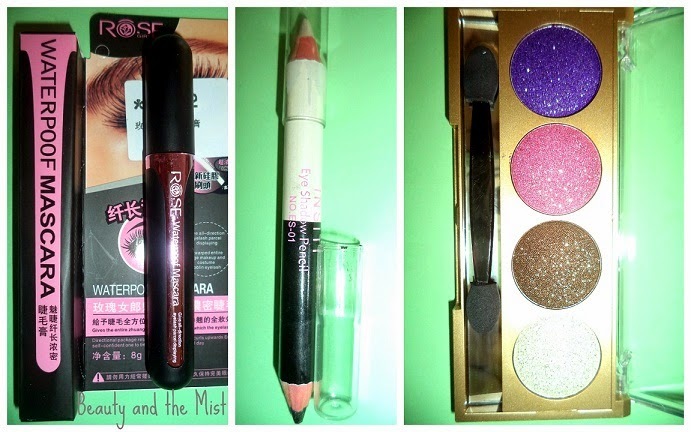 The products I used are 4 Colors Shimmer Waterproof Eyeshadow Palette #02, Black Flawless Definition Lengthening Curly Mascara and Double-ended Waterproof Eyeshadow Eyeliner #1. 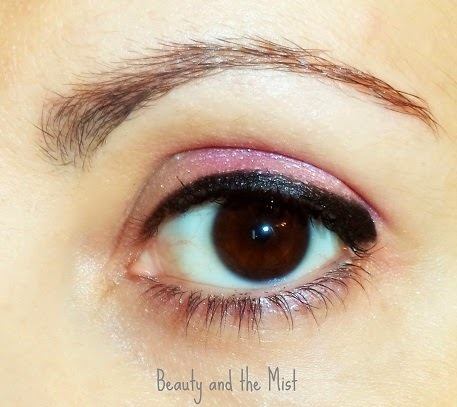 For the morning look I only used the pink and white eyeshadows and for the more intense look I also added the two other shades, purple and brown. 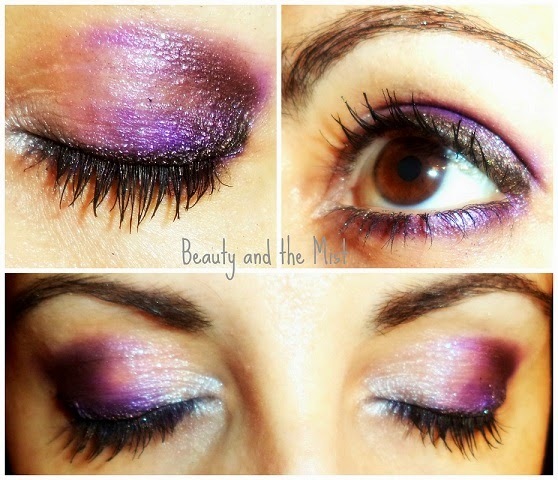 I like sparkling eyes, that’s why I chose this shimmer palette. I wouldn’t use this palette for a special day’s make up that I would like to last for many hours, but these days it’s my choice for my every day make up. I haven’t noticed any fall-out during the application or later. The double pencil is supposed to be used as an eyeshadow, but for the time being I have mainly used the black tip as an eyeliner. I put the white in the inner corner of my eyes for highlighting purposes. Although the colour may fade from morning to night, it doesn’t smudge under my eyes. For its price, I think it works really well. 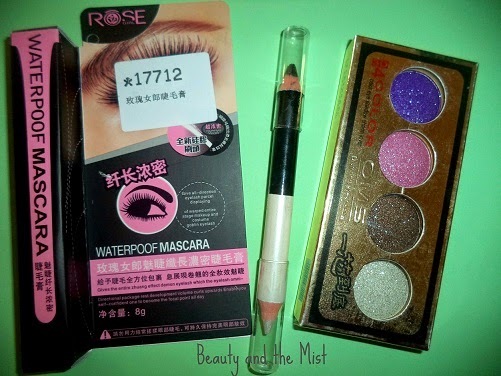 The mascara is pretty good and it gives a very smooth feeling during the application. I have only put one coat and I think the result is satisfying. I also like the cute packaging! I love this shade of brown, so I guess you will probably see another look with brown as the main colour.